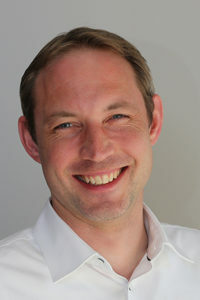 Dominik Lysek founded credentis in January 2010, dedicating a substantial share of his personal wealth to the venture. Before that, he worked as Clinical Trial Manager for Geistlich Pharma (bone regeneration) and Auris Medical (pharmaceutical therapy of inner ear disorders and tinnitus). Dominik Lysek combines extensive knowledge in chemistry, dental/oral biology and the development of medical devices with an excellent network of key opinion leaders in the dental field. 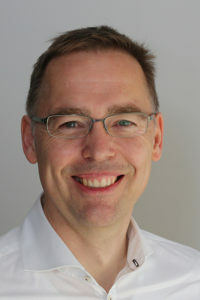 Dominik Lysek studied chemistry at the University of Edinburgh, Scotland, and earned his doctorate in the group of Prof. Dr. Kurt Wüthrich at the Swiss Federal Institute of Technology (ETH) Zurich. 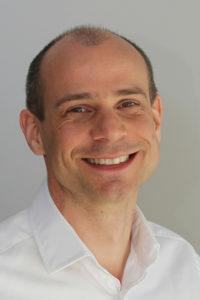 Michael Hug joined credentis in January 2011. He studied biochemistry at the University of Applied Sciences in Winterthur, and earned his MAS in Business & Engineering at the Lucerne University of Applied Sciences and Arts. Michael Hug worked several years in the R&D of medical devices (bone an tissue regeneration) and in contract manufacturing (aseptic processing) in operational and quality related positions. He combines the profound knowledge of the development of medical devices with production and quality/regulatory aspects. As CTO of credentis ag, Michael Hug is responsible for production, supply chain management and regulatory within credentis. Claudine Bommer studied a medical orientated field of biology at University of Zurich. She has an extensive knowledge of analytics as well as quality and safety management for the reason of working several years in the pharmaceutical industry. In addition, early in her carrier she could take responsibility as a Project Manager of a biological medicine to be under development within a world-wide leading pharmaceutical company. 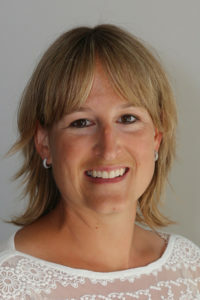 In March 2012 she joined the credentis team. As Clinical Trial Manager she is responsible for the coordination and realisation of clinical trials. Stefan Buchloh finished his diploma in mineralogy - crystallography with a work about dental materials. He continued his specialization and earned his doctorate researching biocompatible materials at the Swiss Federal Institute of Technology (ETH) Zurich. With over 12 years of experience as product manager in international medical device companies and profound knowledge of biomaterials, he has an in-depth cognizance of the medical device market and its marketing needs. Since May 2014 he has been part of the credentis team and is responsible for product management. Investment Advisor and co-founder of Venture Capital company, HBM BioVentures (since 2001). Several years prior, Chairman of some privately and publicly held biotech companies. Over ten years of experience in product development and marketing. Former head of oncology strategic marketing at Roche. Responsible for various strategic corporate partnerships. Over 12 years in academic medicine and research; member of team that purified human G-CSF (recombinant form: Neupogen®). MD from the Medical School of the University of Erlangen, where he also received his MDPhD. Chairman of Cylene, vice chairman of mtm laboratories, board member of Nereus und ProBiodrug. 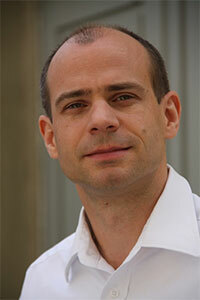 Founder and President of Berner Partners AG, a Consulting and Engineering Company (est. 2008). 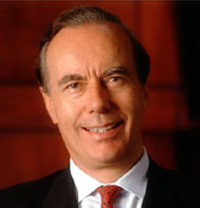 Member of the board of different companies mainly in the medical field; president of some foundations. Before different functions in international companies. Among others building up a production plant for orthopedic implants and the related international supply chain. Until 1991 responsible for R+D and manufacturing of an Optical Device Company with products and systems for different applications. Graduated in Mechanical Engineering at the University of Applied Science Brugg-Windisch, then studied at the University of Berne and finished with Ph.D. in Physics from the Faculty of Science. Michael Peetz, born in 1957, studied Pharmacy in Munich, Germany and Austin, Texas.. After an extended stay to pursue his research in San Francisco, he joined the pharmaceutical company Hoechst (now Sanofi-Aventis) in the clinical research department. 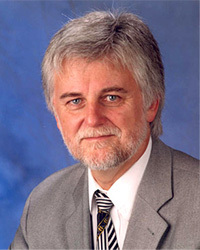 Between 1990 – 2008, Dr. Michael Peetz held several positions at Geistlich Biomaterials—including CEO beginning in 1998. He was responsible for developing Geistlich Biomaterials, becoming number one globally in bone and tissue regeneration in the field of dentistry. 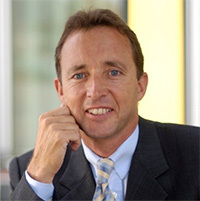 From 2008 - 2012 he was CEO of Camlog Biotechnologies in Basel, Switzerland, an international leader in implant dentistry with a worldwide distribution network. Dr. Peetz was also co-founder and director of the Osteology Foundation, in Lucerne, Switzerland, a foundation that deals with research and education in regenerative dentistry. Since 2012, he has been President of Digital Dental Life AG, specializing in the licensing of their Web technology to the Dental Campus Association for the online training of dentists in the field of implantology. Mr. Moufflet is CEO and Founder of Acceleration International, a firm based in Boston, which invests in the Healthcare sector in both Europe and the US. From 1989 to 2001, Mr. Moufflet was a Managing Director at Advent International, one of the world's leading Private Equity Investment firms with funds under management totaling over $10 billion. During that period he headed the Health Care Practice Worldwide and oversaw investments particularly in Europe and in the US. He participated in fund raising as well as numerous Investment Committee decisions for all sectors of the firm. Mr. Moufflet is a very accomplished Board member and serves on the Board of several privately held companies in Europe and the US. Mr. Moufflet is also involved with non profit organizations: he is the Chairman of the French Cultural Center. From 2001 to 2010 he served as Chairman of the Board of Fellows of the Harvard Dental School of Medicine and since 2011 is a member of the HSDM Advisory Board. He has been recently appointed Trustee of the Massachusetts Eye and Ear (a Harvard Medical School affiliate). He is a member of the Board of the Massachusetts Medical Industry Council (MassMEDIC). 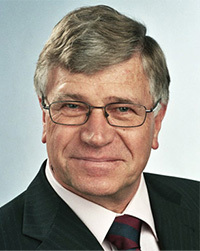 Dr. Dominik A. Lysek founded credentis in January 2010. Three years earlier he had become aware of the scientists from the University of Leeds and their peptide technology. Back then Dr. Lysek was working in the clinical research department of one of the worldwide leaders in natural regeneration of bone and soft tissue in dentistry. Dominik Lysek was intrigued by the idea to use intelligent peptides to regenerate mineralised tissue within the body. However, he saw the potential more in the treatment of caries. He decided to develop a product out of the idea, because researchers are very good in inventing, but they often have little experience and interest in development and marketing. Three years later he founded the company credentis. The investors were not secured yet, but the exclusive licensing of the patents for the worldwide application for teeth was discussed. Dominik Lysek immediately started to set up the first clinical study in order to investigate the efficacy of the technology in patients with early caries. After only two years, CURODONT™ REPAIR the first product for guided enamel regeneration (GER) was launched in the EU and Switzerland. The following year credentis received the SWISS TECHNOLOGY AWARD 2013 for this pioneering development. It was followed by CURODONT ™ PROTECT and CURODONT ™ D’SENZ, cosmetic tooth gels for protection against erosion and desensitization of sensitive teeth. Since 2015, OEM products followed with the CUROLOX® TECHNOLOGY. Continuing scientific investigations are ongoing, to further advance the application of CUROLOX® TECHNOLOGY and to develop new indications. By using the credentis pages and services, you agree to this use. Read More.